Judged by an independent panel of 10 industry experts, Brillopak took home the trophy for Innovative Packaging Machine for designing the C130 Semi-Automated Packstation. 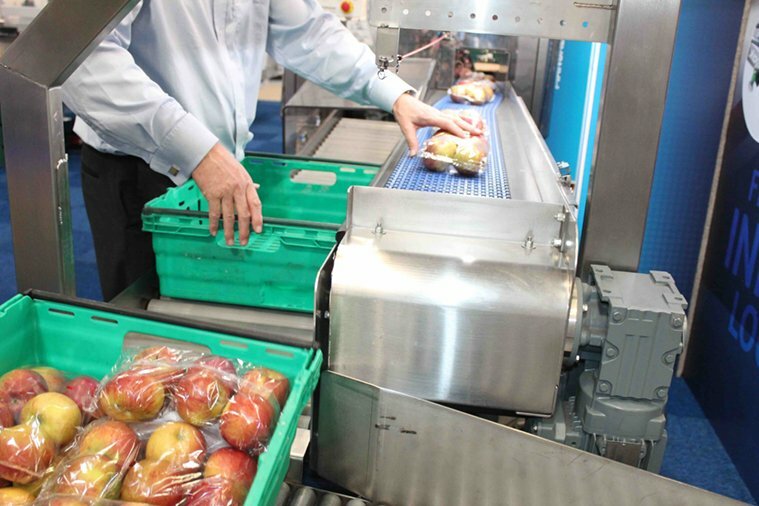 An automated version of the traditional Lazy Susan style product collation/packing station, the system, which helps manual staff load packs of fresh produce into retail crates, has significantly enhanced process and productivity improvements at more than 12 UK fresh produce packhouses to-date. Brillopak director David Jahn and technical director Peter Newman collected the coveted award, commending their team’s innovative spirit. David comments: “Winning this industry accolade recognises that automation is not just about putting a robot in to do the job, but considering how labour requirements and processes might evolve in future years and understanding the different variables in a process which can impact the success of an automation project. “The popularity of this C130 Packstation underpins the importance of really observing where production bottlenecks occur, and importantly what is an affordable and practical investment for SMEs and seasonal packhouses. Winning this award is a big honour for our team, who have worked tirelessly and collaboratively with our customers to consider the best path to higher productivity,” adds David. Brillopak engineers designed the C130 in collaboration with leading top fruit supplier Adrian Scripps after watching up to three people trying to manually pack and palletise over 60 packs of flow wrap apples into retail crates per minute per line. “The packing operatives couldn’t consistently keep up with the pace, which meant upstream efficiency improvements from their grading and flow-wrap investments were impacted,” recalls David. Payback for the C130 Semi-Automated packing station is usually 14 months or less. Rather than just removing humans from the case loading process, it helps manual workers to do a better, more efficient job, making their job less arduous. More products can be packed consistently by fewer people, while increasing overall packing speed by 15% per line. 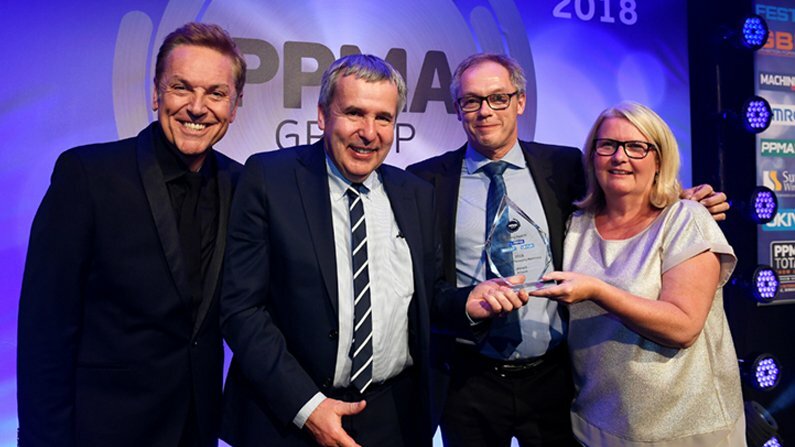 Now in their seventh year, the PPMA Group Industry Awards recognises the finest examples of manufacturing excellence, technical innovation, entrepreneurship as well as outstanding achievement. All 12 category winners were announced at the ceremony hosted by comedian Brian Conley on Tuesday 25th September 2018.